Gilbert Van Kerckhove is from Ghent, Belgium, where he grew up, went to school and to the university to graduate as a master in electronic engineering. Today he considers himself as a businessman, writer, professor, interdisciplinary scholar and KTV fan. In his adventurous life he was first shipped from Genova (Italy) to Santos (Brazil). He arrived in São Paulo in late 1973 with a huge wooden crate of 410 Kg, twenty words of Portuguese and no job. Later Nigeria followed, a brief but interesting experience. In his hotel in Port Harcourt he met a Chinese tugboat mechanic who became a good friend. In Hong Kong in December 1980 he found his friend back who then, through a typical Chinese network, introduced him to other Chinese friends in Beijing when he arrived some days later. It all ended in a marriage, Chinese style: through introduction – no bar pick-up, anyway there were no bars in Beijing that time. Actually there was nothing. Some decades later, he is still in Beijing, the city he now considers his home and gave him a Green Card. 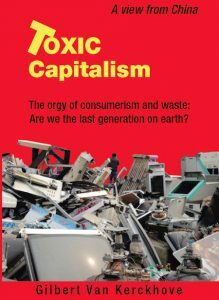 His first book “Toxic Capitalism” was published in July 2012. His second book ““LAUGH AND GET WISER! 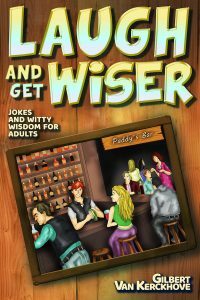 Jokes and witty wisdom for adults” was published in September 2018. Other books are in the pipeline!